Ultimate Justice by Ryder Islington. For those of us who love to read, there is nothing like curling up with a good book. Sometimes I’ll choose a book according to the weather. In the sweltering late summer, I love reading women’s fiction. Devine Secrets of the Ya-Ya Sisterhood, The Secret Life of Bees, or Jane Eyre is perfect. I really love the old classics, as well as the new classics. In autumn I really enjoy romance and love stories, especially the big thick books like A Rose In Winter. The spring is perfect for those coming of age stories. I really love John Irving’s, Snow Falling On Cedars or Forrest Gump right about then. But in the dead of the winter, when the wind is blowing cold, beating against the house, and it’s not fit out for man nor beast, it’s time to pull out the scary stuff. This is the time for Robin Cook, Stephen King, Dean Koontz, and Thomas Harris. These men can scare the hoo-ha out of readers. These are some of the men who have influenced my writing. I like the surprise, the one that gives you chills, the one that makes you sleep with the lights on. While I worked on Ultimate Justice, A Trey Fontaine Mystery, I scared myself! I remembered my own close encounter with a serial killer and realized I was writing from experience. It’s easy to get over extraterrestrials, ghosts, and monsters. It’s not so easy to get over serial killers, sick and twisted pillars of society who are evil inside, eviscerations by those whom you’d least expect. These are common place in our world. And yet, they are scarier than the unknown. The scariest book I ever read was Helter Skelter. At the time, I lived in a townhouse style apartment and refused to go upstairs after dark. I slept on the couch for weeks. I think the book was published about ten years after the actual killings. The book brought back all the news about the Manson girls, and their leader. Seeing Charles Manson and his ‘family’ on the news, hearing the gruesome details over and over was bad enough. But the book brought it all right into my own head. That’s what good books are all about. They make the reader feel things that they might not ever feel in their own lives. So really, there is no bad time to curl up with a good book. Find something that makes your hair stand on end, or moves your heart, or makes you laugh, and let the author take you away to a whole other world. And don’t forget to take a cup of coffee or tea with you, 'cause you may be gone for a while. 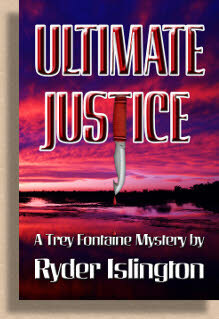 Ultimate Justice, A Trey Fontaine Mystery is receiving rave reviews from readers. The small town of Raven Bayou, Louisiana explodes as old money meets racial tension, and tortured children turn the table on abusive men. FBI Special Agent Trey Fontaine returns home to find the town turned upside down with mutilated bodies. Working with local homicide detectives, Trey is determined to get to the truth. A believer in empirical evidence, Trey ignores his instincts until he stares into the face of the impossible, and has to choose between what he wants to believe and the ugly truth. Mimi Barbour - My Cheeky Angel. Because it took me hours of 'How-to' video watching, bombarding my friends who helped me get started with questions and more questions, and then multiple times to finally get my work uploaded cleanly, I decided to write these steps for myself in case I ever decide to self-pub again. Then I wondered if these steps wouldn't save others the frustration and desk pounding that I suffered when I tried to do it without the proper knowledge. Now, having said that, I have no idea if a professional would agree with this guide as I've written it. Maybe there's a better way to describe the procedure, or I might have missed something that didn't affect my work, and if so I apologize. But I wanted to write it in such a way that, if months go by and my memory dims, (more than likely) these 12 steps will remind me clearly and concisely. 1 - Take a copy of your manuscript and clearly rename it so you know which copy you're working on. 2 - If you've gotten the word doc from your Editor, and there are red edits showing, once you have finished making all the changes, go to 'Tools/Track Changes/Highlight Changes' and unclick the box at the top that says 'Track Changes While Editing'. This should clear your document of editing suggestions and changes. 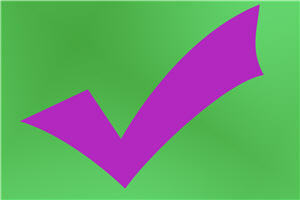 3 - Check for spelling errors…even if you've done this before, it's best to go over it one last time. 4 - Go to 'View' and click off the 'Ruler'. 5 - Go to 'Edit/Select all' so that your document is highlighted, and then go to the toolbar above and make sure that you are using the 'Normal/Times New Roman/ 12 Font'. 6 - Now you will put on the 'Show/Hide' paragraph option that's on your toolbar and looks like a backwards-P. Once you do this, your spaces, new paragraphs, line breaks and all the inner workings of your document will be visible. 7 - In case you tab the 5 spaces in to begin a new paragraph, (as I do) these must all be cleared. Go to 'Edit/Find/Replace' and on the top line that says 'Find What' hit the space bar five times (nothing will be visible). Then leave the 'Replace With' line empty and go to 'Replace All'. Then do the same thing again for 4 spaces, 3 spaces and 2 spaces. DO NOT do this for 1 space. 8 - Now clear any spaces before the paragraph mark by going to 'Edit/Find/Replace/More/Special/Paragraph Mark' and then hit the space bar once. Then click on the next line 'Replace With' and go to 'Special/Paragraph Mark'. This will clear away the extra spaces once you click on 'replace all'. I would do this same routine again in case there were two spaces. If you tab in for new paragraphs, do this same manoeuvre for 'tab characters' and clear them. And once again for 'manual line breaks' only clear each one of these manually instead of using the 'replace all' feature. 9 - Formatting paragraphs – you will go to the toolbar and click on 'Format/Paragraph/Alignment' and click on left. Then on the same page go to 'Special' and click on First line, and then go to 'By' and set in 0.5" and last go to 'Line spacing' and click on Double. 10 - Now go to 'Edit/Find' and type in the word Chapter. Starting at the top of your document, make sure that each of the chapter headings are either centered by clicking on the center function on your toolbar, or if you prefer the chapter headings to be on the left, reposition them now so they are no longer indented. At the same time check to be sure there is a page break before each new chapter. To do this, position your cursor just before the 'C' of the word Chapter and go to 'Insert/Break/Page Break. 11 - Fix any scene breaks (***) by centering them. 12 - Next, go to 'File' and then to 'Properties/Summary' where you should fill in the information—especially the line that asks for the key words for your manuscript such as Romance, Paranormal, etc. Now it's time to go to Kindle Direct Publishing and get started! Hi, Kayelle, everyone. Thanks for allowing me to visit. I’m Melissa Lopez. I’m an author of contemporary and dark paranormal stories. I write for myself and I create my worlds for my characters. I’m setting new career goals and taking a look back at what I’ve learned so far in my writing journey. Writing is a business. Each story is a product. 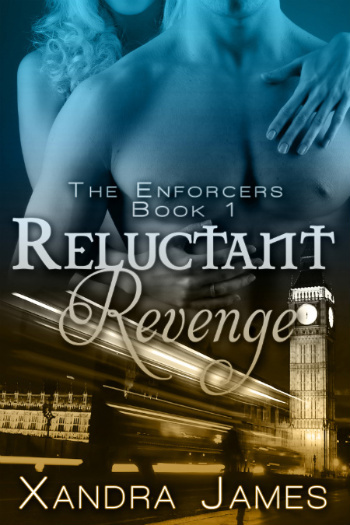 Your backlist increases your inventory. You’re CEO of a brand that’ll hopefully attract repeat customers. You’ve got to market, promote, and know about trends and statistics. You’ve got to build a platform of friends and readers to support your business. Networking is extremely valuable but it’s not all about social media. A writer’s career is a solitary endeavor, so face-to-face meetings are important as well. Conventions offer discussions, information, and opportunities. Networking helps build your business. That said, writing your next book is priority one. There’s turnover at publishing houses. Editors come and go so it’s important to remain positive and roll with the changes that come your way. Remember your writer’s journey doesn’t end with your first contract. Self doubt is your enemy. You have to believe you’re a great writer. You have to believe you’ve something worth sharing. You must believe in yourself. You must, you must, you must! You must be strong when facing criticism. Some criticism will be offered gently, some will be harsh, some criticism will be unnecessary, some worthwhile. With each story criticism, will be dished and doubts will rise…Stay positive. Know who your true friends are. Now where did I hear that? Oh, Jenny Cruise at a New Jersey conference. She was so right. These are the people who’ll give you a swift-kick when self doubt has you in its trance. They’ll be honest during their critiques. They’ll challenge you to be a better author. They’ll curse and rant with you when you receive a rejection. Writing is a lonely business but they’ll be there for you. 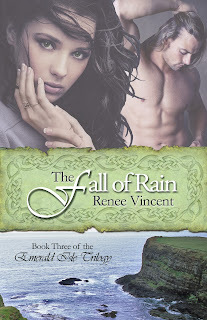 If you like an author’s work, tell her. Connect with her. It’s important to make these kinds of connections. Writers spend a-whole-lot of time waiting. We wait for acceptance letters (be positive.) We wait for edits, and more edits, and even more edits. We wait for covers. We wait for release dates. We wait for reviews. It’s always best to put all the waiting out of your mind and write. Once you’re published writing doesn’t get easier. In fact sometimes writing gets more difficult as you stretch and challenge yourself. In your writing journey you discover how tough the road can be to navigate. 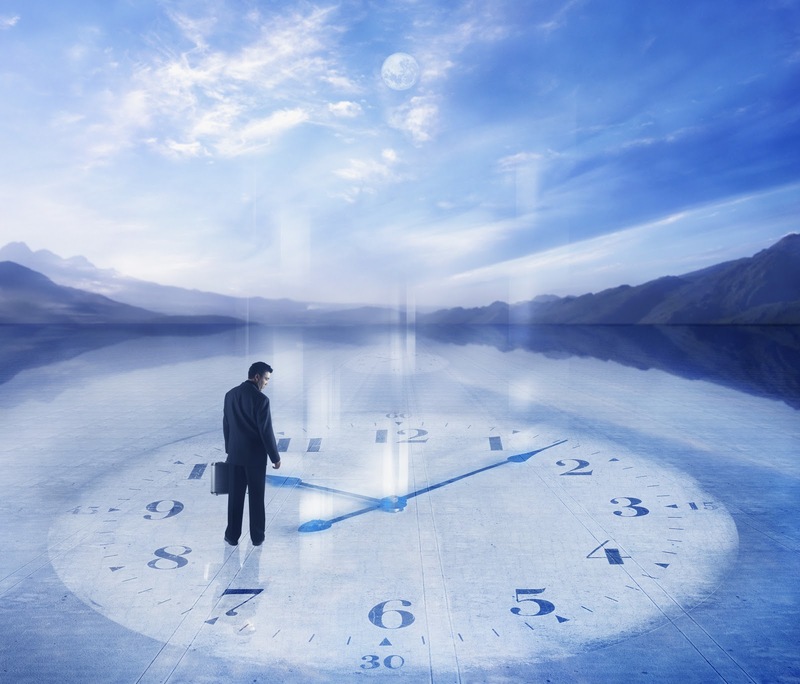 Writing stories takes a huge effort and an enormous investment of time. You need to make sacrifices and be committed to the job. People (some friends, some family, some acquaintances, and some complete strangers) will expect you to give them a book. It still surprises me how many individuals have asked me to give them a book. It’s so awesome —it’s a true privilege—to have readers. But it’s vitally important to a writing career that—especially those who care about you—buy your work. Writers have to combat E-piracy. Writers have to contest thievery of their copyrighted material. Writers strive to protect what is theirs. Piracy of books has cost authors their livelihoods. E-piracy has cut short the careers of some authors. I hope this gives aspiring authors ahead-start on their journey. And I hope I’ve given readers a peek at the business end of storytelling. To my fellow authors, please let us hear something you wish you’d known before you published. The Fall of Rain, by Renee Vincent. When you send your manuscript to an editor, what should you expect in return? Before you send material to be critiqued /edited make sure that you have thoroughly spell-checked first. Make your grammar is as perfect as you can. There are varying levels of editing/critiquing. Here are some basic types of editing and what they entail. Content editing -- what you could say or how to reword material so that it comes across more clearly. Example: [His bike's tires screeched to a halt at the sight of three motorcycles being driven toward him.] What's wrong with this sentence? 1. His bike's tires didn't screech to a halt. They can't act on their own. Better - He screeched his bike to a halt. 2. His bike's tires didn't see the motorcyles. He did. 3. Reaction before action is incorrect. (He stops his bike and then sees the motorcyles.) Action should always come first. 4. "Being driven toward him" is a passive phrase. We get the impression the motorcycles are simply traffic on the road, so why would he screech to a halt? There is nothing to indicate why the rider would stop his bike. Now we have a reason why he's stopping -- and a good one. Content editing can also change the tone of a piece. You can see that above. In non-fiction, what an author feels strongly about can come across in text as more than facts and concern. It can come across as anger, frustration, and disgust. (Think talk radio hosts gone bad.) A content editor can help rein in the author's tone and help turn a piece back into calm, clear, calls to action. Line editing -- the actual words used and what they mean. Do we say the the king wore a torc or a torque? Both are pronounced the same, but one is a neck-worn piece of jewelry, and the other is a measure of twisting force. In certain circumstances, a torque can be a necklace as well, but the accepted spelling for that is torc. According to the Chicago Manual of Style (also known as CMOS) torc is the preferred spelling. Depending on where you publish, you might want to use torque. Your editor should have an idea of what is the correct usage, and where you should use the different words. Proofreading -- what you thought you said and what you meant is not what you wrote. "There are twelve ways to read read this sentence. Only won of of them is correct, and the other three are wrong." Style editing -- how the manuscript appears in its final form. Below are questions handled by the style editor. Checking the submissions page of your publisher will answer most of these, and the style editor of a publishing house will appreciate you doing so. My manuscript is a Celtic Romance. Should I use a curly font? My manuscript is non-fiction. Should I use a sans serif font? What point size do I need? How big should the margins be? Is it okay to make the bottom margin a little smaller so I can fit more on a page? What is meant by "good use of white space?" I write non fiction. Is it bad to have long paragraphs? What kind of forward do I use? Will I need a preface? Some of these questions will also be addressed by a content editor in non-fiction. How much does an editor charge? Here's a good place to get the "straight skinny" on that. http://www.the-efa.org/res/rates.php These are rates many professionals use. Some services use this site as a basis for their fees. You can find people who charge less, and of course, those who'd charge you a lot more. It pays to shop around. There are some editors who provide all these services in one sitting. They are worth their weight in gold. What's the difference between a critique partner, a beta reader, and an editor? A critique partner is someone who (hopefully) writes in your genre and knows the ropes as well as the audience, and can give feedback on your writing. A beta reader is someone with experience reading (and writing if possible) who will read your story and pick apart the inconsistencies and then point out what needs tweaking. An editor is a professional who stakes his/her reputation on what is written about changes you need to make. Take the advice of each and use them to your advantage. Weigh the advice of each according to your own value system. I have beta readers whose opinions weigh heavily in any decisions I make. Mine know my world and characters and can tell me if I've written them "wrong." They are also sometimes too close to the story (as am I) to see an issue, and that is where an editor's value shines. Editing is vital. Get it from people you trust, and don't take it as a personal affront if there are suggestions made or rewrites requested. The final goal should be to produce quality writing. Focus on that and move forward. Your readers will thank you. Don't get me wrong, resolutions are great for some people. A few of us have enough focus to carry on going regardless. They flick a switch on the first day of the year and never look back. They want something so badly that nothing will stand in their way. So how can we make positive changes that last? We can make long-term goals. Three month goals, one, three or five year goals etc. And how do we get there? With baby steps. Rome wasn't built in a day and Hugh Jackman won't just turn up on my doorstep and declare his undying love. You have to work at it a little bit every day. And stalking is a great start for stealing Hugh. Sorry, just saying. - Plan ahead. It's rarely works when you start on January 1st having made a resolution the night before, whilst doing the Macarena, after drinking too much fizz! And if it isn't possible to start on the 1st, start on the 2nd or the 15th or February. Make a deal with yourself that you'll start when it works for you, not when you're supposed to. Just don't slack off and give yourself an excuse. - Write those goals down and put them on display. Put them somewhere you can read them easily when you're feeling a little low or you've had a setback. And occasionally, you also need to be able to see where you need to change things up. By allowing the goals to almost have a mind of their own and grow, as you do, you're giving them life. Who says that having a picture of Hugh Jackman on your bedside table is obsessing? He's keeping you focused. And I am sticking to that one!! For me personally, many of my goals seem to revolve around my writing career. I know that if I plan ahead, I have a better chance of making my dreams happen. If you don't know where you're heading, how can you get there? For instance a writing career will not chase you, you need to chase it. Like anything in life, if you want it badly enough, you have to fight for it. And don't worry, I'm done with the clichés. For now. I'm lucky in that I've somehow managed to surround myself with writers who are dedicated to their craft (I'm not sure how I managed it, right place at the right time? Bribery?). But they inspire me, constantly, to be a better writer, and to demand a high standard as a reader. Late last year I managed to fulfil a personal goal of mine to be published. My first book, Reluctant Revenge came out in December. 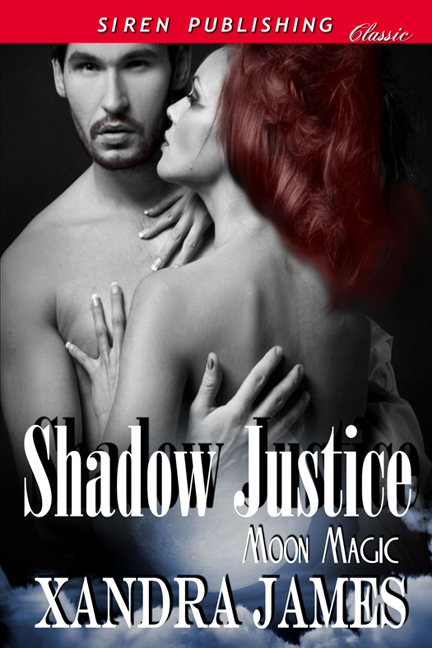 Then, on the third of January, I managed to become a multi-published author with Shadow Justice. (I love hearing that, by the way. It almost confirms that it wasn't sheer dumb luck on my part in getting published the first time! lol). Now that I've managed to get over that first hurdle, I'm moving onwards and upwards to the next goal I've set myself. 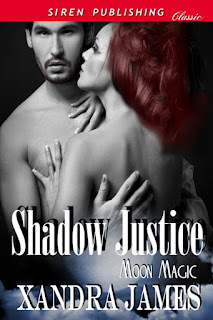 First and foremost, I want to complete books two and three in the Moon Magic series (Shadow Justice is the first), so completing the series is a big goal for me. I would love to achieve everything I'm working towards this year. But if it doesn't happen? It isn't the end of the world. I just need to adjust accordingly and not beat myself up. Resolutions are good for one thing, to spur you on and make that change. Goals are even better to become the person you've always wanted to be and live the life you've always wanted. I hope 2012 is a great one for you and that you're able to make it an amazing year! Have you got any goals you're working towards this year? And, just because I'm nosey, do you write them down and look at them often? Buy it now at Bookstrand. 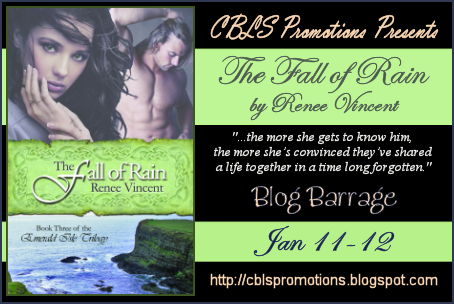 Amazon and other online retailers! Now, older and wiser, she's got the opportunity to project her slightly dark and wacky, British sense of humour onto others, whilst still writing the hot bits - bonus! Will Your Book Make Money? Now and then I hear writers say they don't care if they make money. They have to write. It's in their blood. Some want to share the knowledge they have and are eager to get the book out there and into the ethernet where it can be shared. Others dream of making it big and retiring. No matter which of these concepts fits you, if you are a writer, this article will help. Truth is, for writers, that's not an acceptable answer. We are driven to write. We want to share our stories and ideas. Some of us would like to make a living doing it. It doesn't matter whether you're in it to make money. Every writer still has to do the same things. Youl have to write and then edit your book. You have to find a publisher and/or agent. If you decide to self-publish, you need to get a decent cover, format it as an ebook, and all of us have to market our books. Creating the book to be successful -- whether as a giveaway or a $39.99 book -- takes the same amount of work. If the book is badly written, improperly formatted, and not promoted well, it will fail -- whether free or for sale. You owe it to your readers to give it the best you can. I've been writing for publication since 2004, and have six books out and one audiobook. I've spent thousands of hours promoting, writing, teaching, and learning. If I was doing it for the money, I'd have given up long ago. If you've been saying that you don't care if you make money, or that you just want to write because you have to, stop now. Not stop writing -- stop saying that. Words are the seeds of prosperity or doom. We decide which by what we say. I take pride in my work. If I continually tell myself I don't expect to make money, I am sowing the seeds of failure. Instead, I tell myself I expect to entertain people with this book. I leave money out of the equation. I focus on what I want to accomplish, not what I don't expect to happen. It's been my experience that attitude will sell my book when nothing else will. I never tell people "I don't expect to make a lot of money writing" because guess what? No one expects to give me a lot of money, either. Instead, I say "I expect to __________" whatever it is I decide to accomplish. What do you want to accomplish? Do you want to entertain? Educate? Change minds? Illustrate an idea? Open the world to a child? Set right a wrong? Speak the things you expect to happen. Let the money deal with itself. Focus on what you want to get across to people, and the sales will follow. If they don't, it won't matter. You will have done your best. You will have pride in your work, and you will have accomplished your goal. It doesn't get any better than that.